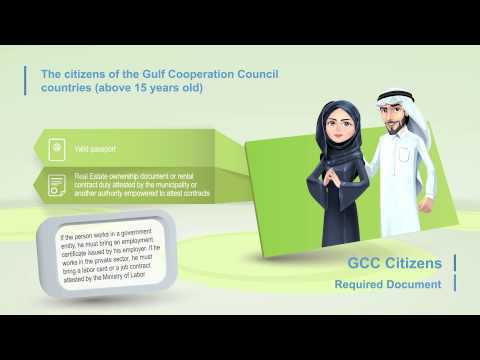 - The citizen has the right to apply for renewal of the identity card six months before the expiration date and up to one month from the expiry date in order to avoid delay penalties. - All categories of customers must renew the ID card after expiry and within 30 days, in order to avoid delay penalties. All UAE and GCC nationals, Expatriates, residents of the UAE whose UAE IDs had expired. Customers who are late in submitting ID card applications are fined AED 20 per day up till AED 1000 as a maximum. Delay fines shall be applied on ID renewal procedures after 30 days of its expiry. Delay fines shall be applied in case of any delay in reporting any data change after 30 days of the occurrence of the change. Services that are not included in fees exemption (Mobile vehicle service + Express Service)	If a customer wishes to change the personal photo printed on the renewed ID, this should be requested at the time of application submission. Expatriates and residents may request refund of ID issuance fees if they pay for a longer validity ID and then a shorter validity ID was issued for them because of shorter residency permit from one of the service centers. UAE Nationals: AED100 for a 5-year ID and AED 200 for a 10-year ID. GCC Nationals: AED 100 for a 5-year ID. Expatriates: AED100 for each residency year. Express Service Fees (optional): AED 150. AED 1000 for the mobile vehicle service per family per day for UAE and GCC nationals and residents in the UAE though contacting the call center or the service center (per person + per family + per day) except VIPs and social welfare beneficiaries and old people and those with special needs and autistic individuals who can't reach the service centers. The expired ID, and in case it is not available, the issuance of ID number confirmation from any of the principal ID registration centers or a copy of the expired ID. The expired ID, and in case it is not available, the issuance of ID number confirmation from any of the principal ID registration centers. If a person works for a governmental entity he should present a work certificate issued from the entity he works for, and if he/she works in the private sector the work contract or work ID should be presented and it should be certified from the Labour Ministry. The private company work certificate shall not be enough if not certified. If a person is studying in the country, he/she should present a study certificate from any of the registered schools in the Ministry of Higher Education and Scientific Research. Certificates from unregistered schools shall not be accepted. A certificate confirming obtaining a valid business license in the country. A valid marriage contract of a UAE nationale. issuance of ID number confirmation from any of the principal ID registration centers. A recent medical report certified from the competent entity. Personal photo (3.5x4.5 cm) with a light blue background. ID shall be issued within 48 hours from the time of submitting the application (Provided that all security permits and other procedures are completed on time). I have received a text message reminding me to renew my ID and the steps to be followed in this regard. I understood the steps to be followed in order to start renewing my ID. I have received a text message informing me of the status of renewal application. I have been urged to provide my feedback on the renewal process. I have provided my feedback about my experience through my preferred channel. Page last updated on : 03/04/2018 05:02:48 This site is best viewed in 1366x768 screen resolution. Supports Microsoft Internet Explorer 10.0+, Firefox 10.0+, Safari 3+, Google Chrome 12.0+ Copyright © 2017 Federal Authority For Identity and Citizenship. All rights reserved.